Our softphones can work with a number of USB audio devices available on the market. 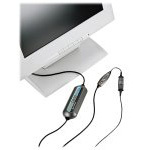 At the minimum, USB audio devices provide microphone and/or speaker that can drastically improve voice quailty. Also, depeding on features of a particular USB device, device buttons can be used to control phone calls (accept calls, dial, hold, resume, disconnect) as well as navigate application's directories and engage softkeys - all this without having to use computer's keyboard or mouse. The list below represents devices that were extensively tested and approved for compatibility with IP blue softphone products. For your convinience, some of the USB devices can be purchased directly from IP blue. The IPP 520 Desktop Speakerphone provides the functionality required by office professionals: speakerphone, mute, hold, transfer, redial, memory dialing, volume controls and excellent audio quality. A standard RJ-22 headset connector is provided to allow for confidential, hands free use of this enterprise class Speakerphone. The Eutectics IPP400 USB phone looks, feels and works like a normal telephone. With a contemporary award winning design it makes the transition to VOIP and internet telephony so much more pleasant. The IPP700 Cordless phone combines the best features of today’s 2.4 GHz Cordless telephones with the power and simplicity of IP telephony. The IPP700 system consists of a base station which connects to the PC via the USB port. The IPP700 provides inbound Caller ID and integrates with popular instant messaging clients. Standard telephony features such as redial, mute, hold are supported. 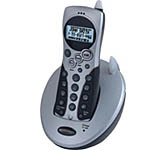 Features traditional handset with hook-switch control, full duplex speakerphone, headset port, mute/unmute button, volume control, switch between handset and speakerphone mode. The IPP 200T is a desktop version of the IPP 200 which provides the same crystal clear audio and hookswitch integration in a bold, clean, monitor independent style. The IPP 200T is designed to function as closely as possible to a standard high quality Telephone handset, matching the expectations of traditional telephone users. 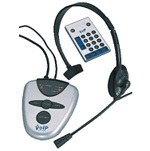 The Eutectics IPP 200T USB phone headset looks, feels and works like a normal telephone. With a contemporary award winning design it makes the transition to VOIP and internet telephony so much more pleasant. 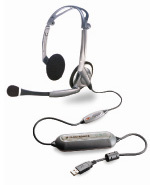 The headset system features a USB Bluetooth adapter that enables wireless access to the softphone. Users receive notification of incoming calls and answer/end calls remotely from the headset. Noise-Canceling microphone improves audio quality. Device features approximately 6 hours talk time and allows roaming up to 33 feet from the Bluetooth device. Convenient AC and USB charging right from the PC. The IPP2000 provides the freedom to use any traditional telephone device to access the power and advanced features of a PC based IP telephone. 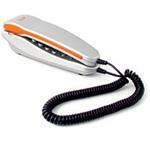 This device is designed to be used with either cordless or corded phones and can drive multiple phones at once. This device provides an RJ11 port to connect to standard telephone sets. Loop current, 90V ring voltage, hook supervision, full button integration and Caller ID display are provided. The SOLO conferencing unit delivers full duplex communication at your desktop - Hands-free and Headset-free. Quality communication is the result of proprietary echo cancellation, noise suppression and voice level compensation algorithms. A USB interface provides for easy installation and it's small footprint design occupies little desktop space. 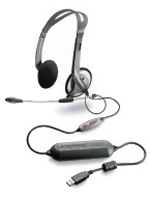 Full USB Compatibility; Make and Receive VTGO Calls with Telco or Call-Center Headsets; Easy-to-Install Software with USB Plug-and-Play; No Sound Card Required; Includes PerSono Pro Software for Digitally Optimized Sound.